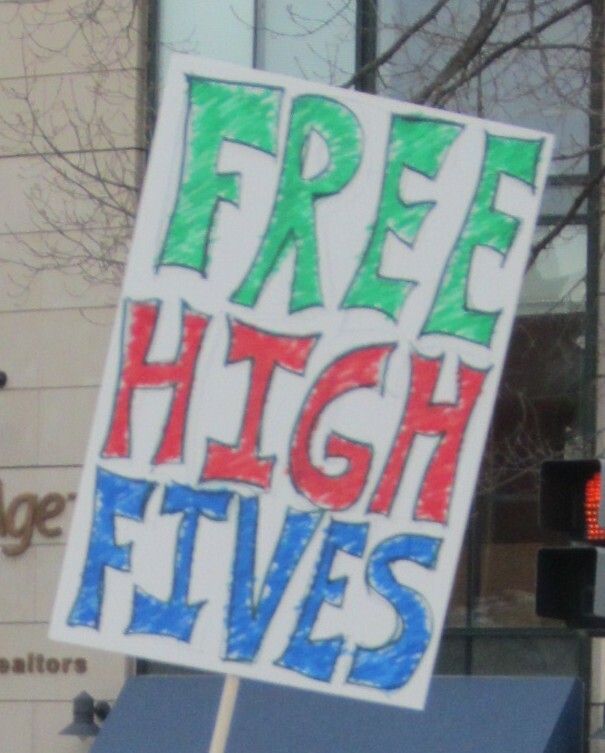 QOTD: What has your favorite race sign said? This entry was posted in Races and tagged race signs. Bookmark the permalink. The T-Rex one is hilarious. 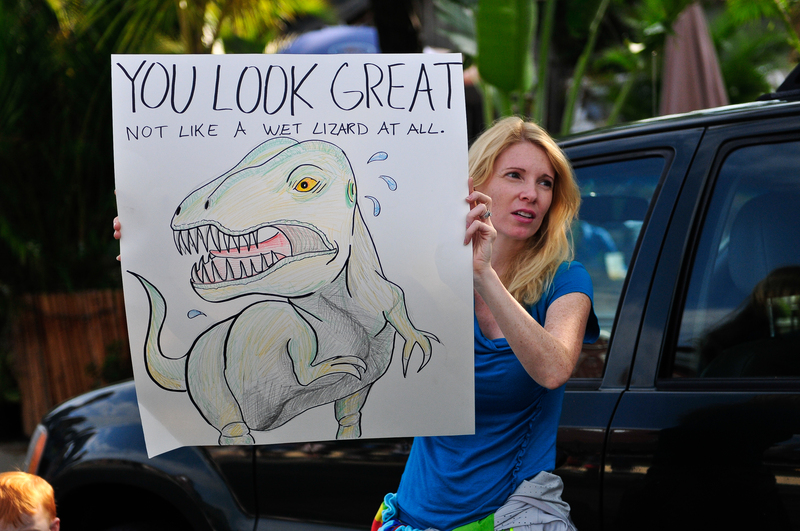 Funny signs are a great distraction. During the VA is for Lovers 14K, J&A had jokes and even puns – they were pretty funny. Its perfect too when the signs are there RIGHT when you need the distraction! I’m laughing just reading this! Haha, love the T-Rex one! I haven’t had the pleasure of seeing too many awesome signs but I hope to once I start to participate in bigger races!!! So funny! I love these! I hadn’t seen the dinosaur one before. The location specific ones (like the metro or congress signs) are my favorites. I loved seeing those during RnRUSA this year! Great signs! My favorite has to be the one I saw when I was running the Boston Marathon last year. It read, “You trained harder than Kim Kardashian ‘s marriage.” This was one she was going through a divorce with Kris Humphries….hilarious! “Punch for Power” it was at the end of a treacherous hill race and everyone was punching it, it was very cool. 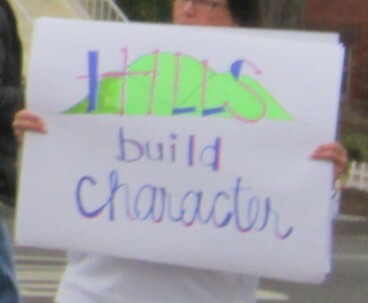 Race signs are great! I saw one last year at RnR VB that said “Worst. Parade. Ever.” It cracked me up! I also like the “Why are all those people chasing you?” signs.